FSX/FS2004 – Boeing 767-300ER Atlas Air. Repaint of the Skyspirit 2010 767-300 v5. Registration N662GT. 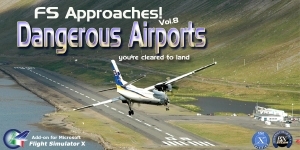 Includes the FS2004 and FSX models. This entry was posted on December 27, 2018 at 18:25, and is filed under Aircraft. Follow any responses to this post through RSS 2.0.You can leave a response or trackback from your own site.